The parish was in the Grimsby sub-district of the Caistor Registration District. In 1890, the parish was allocated to the Grimsby sub-district of the new Grimsby Registration District. You can also perform a more selective search for churches in the Ravendale area or see them printed on a map. A Praemonstratensian Canonry was founded here in 1202 by Alan Fitz-Henry. Only their chapel remains in West Ravendale. In ancient times, West Ravendale had a parish church. Some ruins of the building remainded in the 1800s. The church was erected in 1857 in East Ravendale. It replaced a much older and smaller structure. The church seats about 100. 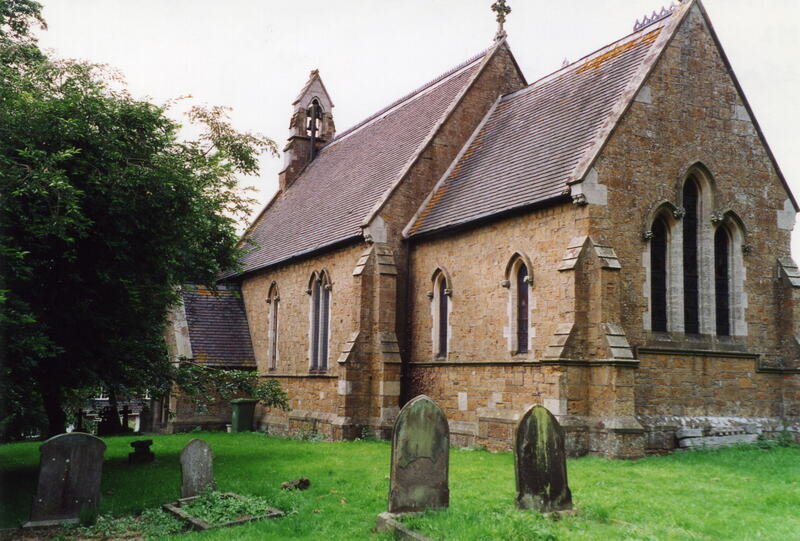 A photograph of St. Martin's church in East Ravendale is at the Wendy PARKINSON English Church Photographs site. Kate NICOL has a photograph of St. Martin's church on Geo-graph, taken in October,2009. The Anglican parish registers date back to 1723. The parish register for 1723 - 1812 are on deposit at the Lincolnshire Archives office. The Lincolnshire FHS has published several marriage indexes and a 1641/2 Protestation Return for the Haverstoe Deanery to make your search easier. Ravendale is a small village and a parish about 9 miles east of Caistor, 7 miles south of Grimsby and 10 miles north-west of Louth. The parish covers about 1,600 acres and includes the hamlet of West Ravendale. For relaxation, try the Manor Golf Club in West Ravendale. Ask for a calculation of the distance from Ravendale to another place. You can see the administrative areas in which Ravendale has been placed at times in the past. Select one to see a link to a map of that particular area. The name appears in the 1086 Domesday Book as "Ravenedal". That is Old Scandinavian for "Valley of ravens". Many records have the name as "Randal". The parish was in the ancient Bradley Haverstoe Wapentake in the Central Lindsey district in the parts of Lindsey. In Kelly's 1900 Directory of Lincolnshire, the parish is given as being in the North Lindsey division of the county. West Ravendale is a chapelry and a township in East Ravendale parish. For many centuries East Ravendale and West Ravendale were separate parishes. District governance is provided by the North-East Lincolnshire Council. The Common Land was enclosed here in 1841. In an 1890 re-organisation, this parish was transferred to the new Grimsby Poor Law Union. Bastardy cases would be held in the Grimsby petty sessional hearings. A Public Elementary School (formerly a National School) was built here in 1856 to hold up to 70 children. 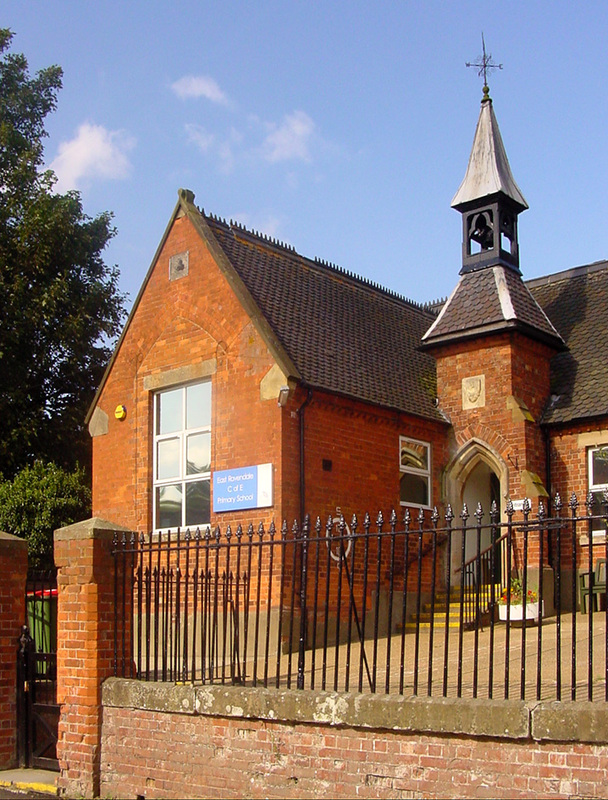 Here is a photograph of East Ravendale C. of E. School taken in 2002 and supplied by Paul FENWICK (who retains the copyright). Paul used to attend this school.